Happy Tuesday! Today I'd like to share a beautiful new book with you! 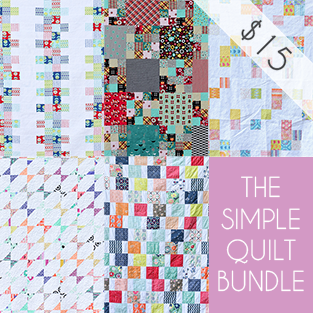 It's Quilting with a Modern Slant by Rachel May. 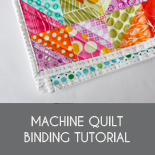 The book is a bit of an encyclopedia for modern quilting. 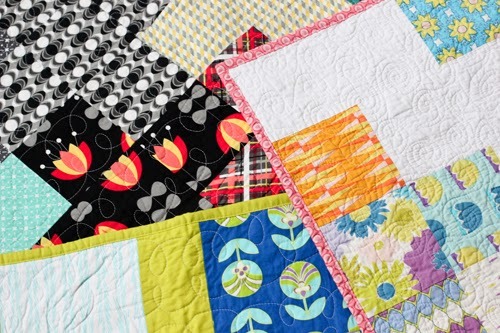 There are loads of tips and tricks from a variety of quilters, informational tidbits, patterns, and nearly 80 interviews with different quilters. 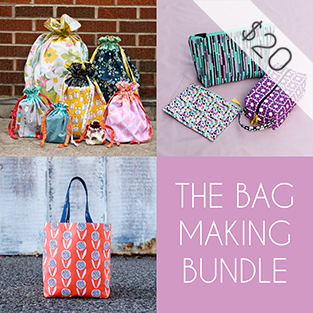 Beyond that it's simply filled to bursting with quilted eye candy! I've really enjoyed leafing through the book and I'm looking forward to reading about each quilter more in detail when I have the chance. 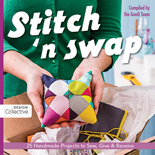 I am happy to know many of the quilters in this book, it's interesting to hear a little more of their stories. 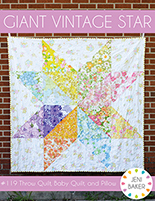 Today however, I'd like to share a few new-to-me quilters that I found inspiring and because of this book! 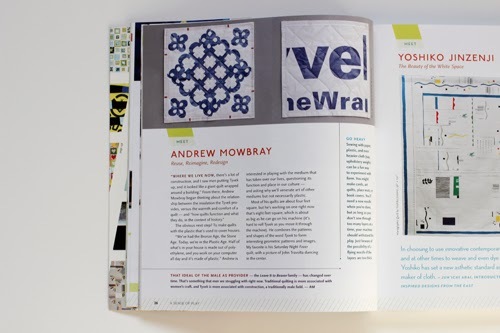 Andrew Mowbray: He makes quilts from unconventional materials, such as these quilts made from Tyvek. You can find his website here. I love the simplicity of his quilts. It's always interesting to see how other people approach quilting. 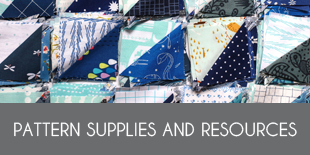 While many of us think strictly fabric is appropriate in a quilt, there are really so many other materials out there that we could use! So cool! Nancy Crow: An improv master and revolutionary quilter. You can find her website here. 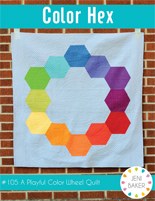 I was immediately drawn to this quilt, I just love the playful color. 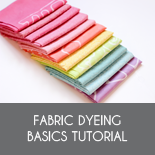 Upon learning that the fabrics are hand-dyed I was even more interested. 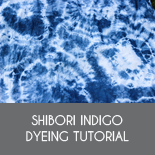 I've always loved dyeing fabrics, and the colors and look you can produce has such a great quality. 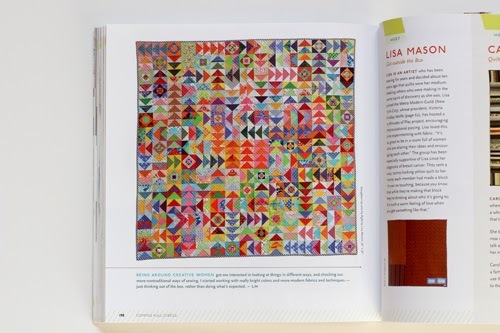 Lisa Mason: Artist and member of the Metro Modern Quilt Guild. You can find her website here. I think this is my very favorite quilt in the book, there is just so much to look at. There is so much movement in it, and the color adds to the craziness in such a good way. Makes me want to stitch up some flying geese! 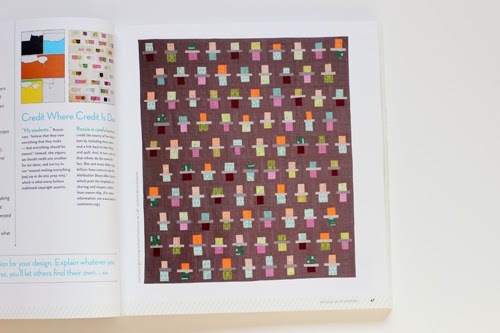 There are a few patterns I'd really like to try out of this book (like the Fraction Quilt by Rossie Hutchinson), but I am most drawn to it because it has documented our community. It's really lovely. I'll definitely be turning to it when I need a little boost of inspiration. 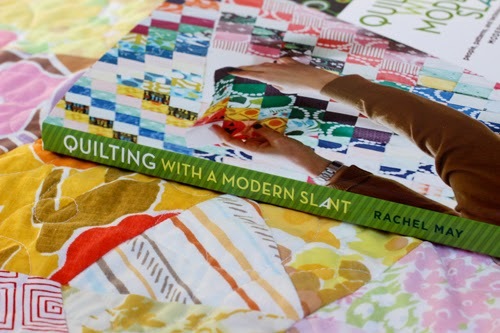 For more on Quilting with a Modern Slant, check out the book's website, here. This book has made me consider why I quilt. It's always an interesting question to think about, and it definitely changes a bit year after year. I've been struggling over the last year or so with this question. 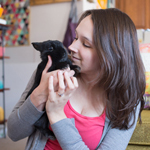 When I first started quilting I was getting nearly all of my creative fulfillment from it. When things shifted and quilting became my primary job, it became more difficult to find that fulfillment from quilting alone. Now that I've started knitting, it's actually made my relationship with quilting a lot better. I don't need as much from quilting to be happy, so it's taken a bit of the pressure off. On top of that, I'm enjoying it like I haven't in a while and that's been really good. Honestly though, in the end, I quilt because I'm always cold. 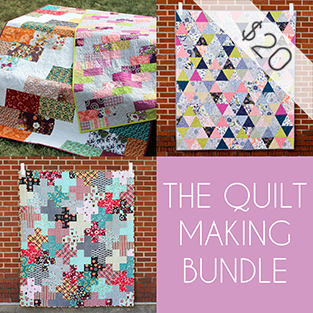 Let's be real, I just love to use quilts! 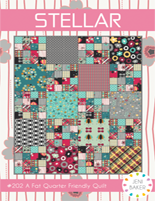 The kind folks at Storey have offered a copy of Quilting with a Modern Slant to an In Color Order reader! Just leave a comment on this post to enter. US entries only, giveaway will end Sunday, February 16th at 5pm CST. Winner will be announced the following Monday. This seams like a very interesting book. 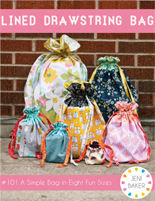 Quilting sure is ! Thanks for the great book review... It sounds like a fun read! I love that flying geese quilt too. I would love to win. I quilt as much to just have the quilts as I do for a creative outlet. Knitting, crochet, drawing and painting are also lots of fun. Thanks for the giveaway! This looks like a great book and I enjoyed reading your review. Thanks for the chance to win! I noticed this book on Amazon last week and enjoyed reading your review. I'm always looking for great inspiration books and this one looks terrific! Thanks for a chance to win! I thumbed through this book recently and it's defiantly on my to purchase list -- thanks for the review. Looks like a great book. 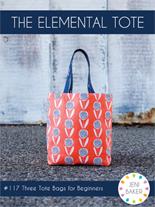 It's already on my Amazon wish list, but it would be great to win it! Thanks for the opportunity. I checked the book out at the library, and now I don't want to give it back. It would be great if I could win my very own copy. Thanks for the offering. My library could always use a new book, thank you for the opportunity! 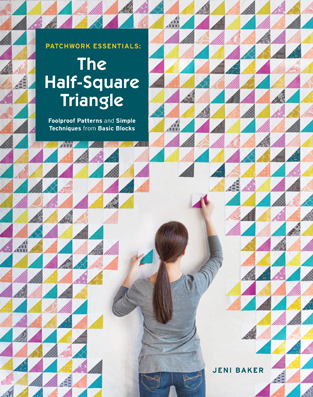 This book looks like an awesome representation of modern quilting, and I sense endless inspiration coming from it! What a great book, I'd love a chance to win a copy. Thank you. Looks like a great book, thanks for a chance to win! This book looks so inspirational! Thanks! Thanks for reviewing the book, it looks like one I need on my shelves. Thanks. I think it is intereseting, someone said "Modern" is an evolving trend so it is fun to see how the "modern" quilt now is different from what was "modern" last year and three years before. 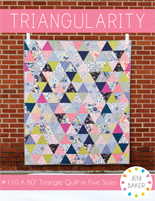 In another fifty years, a whole new generation of quilters will be redefining modern. Thank you for the review and insight on the book! I've been thinking of adding it to my collection and appreciated seeing your perspective on it. The book looks very interesting I would love to read it! Thank you for the chance to win such a cool book. Oh I would LOVE to have this book in my library! The book looks great. Thanks for the opportunity to win. This book sounds fascinating and inspiring. I could use some of that! Oh, this looks wonderful! Thanks for the chance to win it! 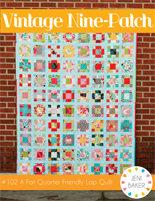 I really love that colorful flying geese quilt -- those alternate blocks really make it special. You know, I was up late on Pinterest last night, and I looked at so many spectacular quilts that were so elaborate and intensive that I know I will never be able to make anything like them. It got discouraging. I think that one of the best things about modern quilting is how much more approachable the projects are, yet still beautiful and inspiring. If I win the book (doubtful! 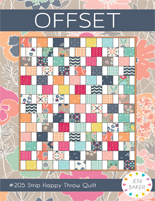 ), I'm going to make the flying geese quilt in the happiest fabrics I can find. This book looks so interesting! Thanks for the chance to win! this looks like a good read! would love to win a copy! Sounds like a great book - it's on my list! It looks like a very inspiring book. Thanks for the chance to win. 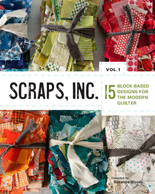 Looks like a very interesting book and a great addition to any quilter's library. Thanks for the chance! 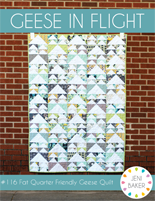 The colorful flying geese quilt has been on my to-make list. I enjoyed seeing it in this book. Thanks for the chance to win a copy! Just starting my quilting journey...what a wonderful inspiration this book would be! Thanks for sharing it. Looks like a really interesting book--my fingers are crossed--and thanks for the chance to win! I would love this book! The interviews sound really interesting. Thanks! interesting looking book...thanks for sharing. I'm intrigued by this book! 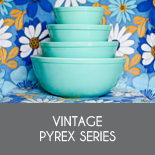 Would love to win it because I do tend to go to more modern patterns. Looks like a great resource and I'm really interested in reading more about the projects inside! I think I quilt because I love beautiful things and I need a creative outlet and quilting gives me a chance to do that! 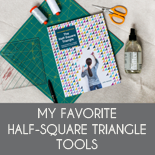 I've done traditional quilts and now I want to move towards modern quilting and this books looks packed with inspiration. Thanks for the opportunity to win it. Hi!!!! This book sounds wonderful!!!! Thanks for the chance to win one!!!! sounds great, with just that, a different slant! Looks like a great book! 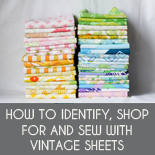 I didn't mean to quilt, but it's such a part of my family history, I don't think it could be helped! I'm with you on always being cold! Plus, I want my daughter to have something as an heirloom for when I'm gone. I don't have any of my grandmothers quilts and I really wish I did. I'm really excited about this book! I've seen it pop up here and there on the internet, but I can't wait to curl up with a quilt (obviously) and read through it! Looks like a great read…thanks for the sweet giveaway! Hi,interesting new book>Thanks for sharing! Great for my fire-side reading!!! I love that Flying Geese quilt. I just put this book in my cart at the library to check it out before buying. I'd love to own a copy. This looks like a different kind of book. She is coming to speak to our MQG in May and we are very excited. andrew mowbray's work with gourds is a delight to see. 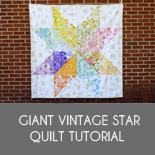 he pays respect to craft and history in a way any quilter can appreciate! 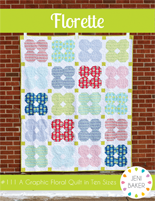 I am dying to make a quilt!! I love paging through books like this dreaming about all the pretty quilts. That looks like a very inspirational book. Thank you! 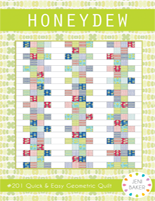 Looks like a book filled with great ideas and beautiful quilts! Thank you for the giveaway opportunity!! Love your stuff!! 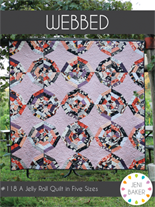 I love that quilt with all the flying geese -- just beautiful! thanks for the chance to win the book. What an awesome looking book - so many new ideas to dry out. Thanks for the chance to win. I love the varied projects! Thank you so much for the look inside and the giveaway! 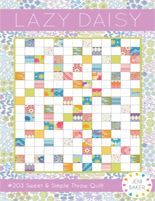 Always love to have another quilting book and this one looks great! That looks like a gorgeous book! Thanks for a chance to win! Now that's a book to collect and pour over, again and again! I do hope to win, so so much! Thank you for the chance. 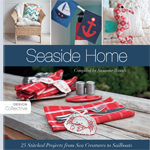 Looks like a book full of inspiration -- I'd love to win it! I heard about the book the other day. It sound so informative and fun. I'd love to get my hands on a copy! Thank you for the giveaway.I love these colorful designs! I've seen this book and it looks so good! Thanks for the chance to win it. Looks like a fantastic book. 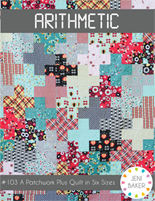 Would love to read about other quilters. Thank you for the chance to win. Great inspiration in those pages. Thank you for the chance to win. The book looks really interesting. Would love to see your take on some of the designs. Jenn, you make a really good point about how quiliting changed from you to being pure pleasure and creative fullfillment to not quite as much. Its really different when it becomes your job--- I think the focus shifts from doing what you want to do to having to do what keeps the people happy so the bills get paid. Very different mind set- glad the knitting is giving you so much pleasure! I was reminded why I quilt when I received a thank you letter from a young friend for the quilt I sent to her. Her words made my heart sing and my fingers itch to stitch! 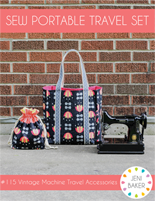 I love the idea of quilting with something other than cotton. People can be so creative! Thanks for the giveaway. Oh, this looks like a great book. Thanks for the review and chance to win a copy. This books looks very intriguing. 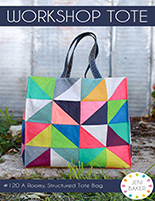 I'd like to read up on some more modern quilters! This looks like an interesting read! Thanks! 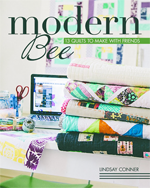 I am drawn to the modern quilt, and would love to win this book. I need all the modern inspiration I can get! The book looks like fun reading! 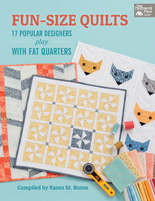 This looks like a great book and a good way to try some new quilting! Great review, makes me really hope I win it! 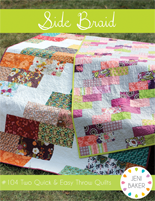 Dude, that improv quilt by Nancy Crow is crazy-good! What color & boldness! Wow! I love books that include the history of the makers! This books looks amazing! Thanks for the giveaway! 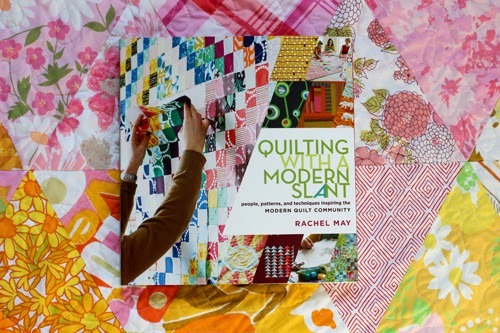 I really want to read this book - sometimes I am so focused on quilt blogs - that I haven't taken the time to learn about modern pre-blog quilters. At the Northampton MQG meeting this month, quilters who have taken classes with Nancy Crow spoke- she sounds like quite the teacher! Wow!!! Looks like a fantastic book!! 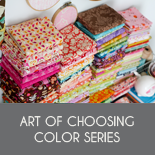 I'm always looking to add to my quilt book collection! Looks like there is a lot of useful and fun information in this book. Thanks for the review! Oooh this looks like a great book. Looks like an interesting book. I like the preview of some of the quilts. Sounds like a must have book. Book looks fabulous. Thanks for the chance to win! I have seen this book on a couple of sites. It looks really interesting. I'm sure it would be very educational and helpful to have all that information in one place. 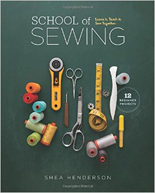 I'm new to quilting, this book sounds like it would be a great reference. Thanks for the chance to win. Thank you for sharing your review! It sounds like a great book full of inspiration. Really looking forward to seeing this book in person - I love roundups of practicing artists. Would love it if you chose my number!...Thanks for your work on the blog I enjoy reading it! Thanks for a chance to win. Looks like a fun book. 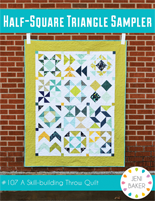 oh this looks so great - I love that flying geese quilt! If you quilt because you're always cold, you may stop when you turn forty! And I agree about the flying geese quilt. It's awesome! Great looking book. I liked that flying geese quilt! Wow. I could learn so much from this book and these quilters. I have a very eclectic style while my daughter gravitates towards the modern style. I know she would love a more modern style quilt. This book would sure help me in that aspect. 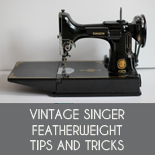 I would love to have a copy to help me on my modern way! Thank you for reviewing this book and giving us a chance to win a copy. This looks like an excellent read; thanks for the chance to win it. I can't wait to read this book! I think with 80 quilters included, there are going to be many new works to discover. 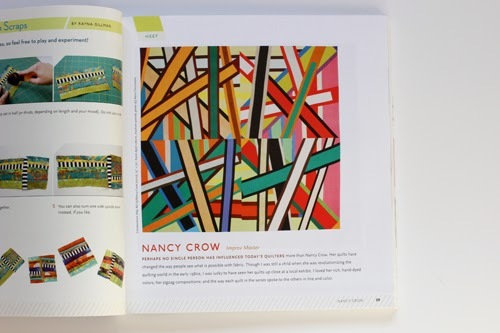 So glad to see Nancy Crow included - I've always wondered why I never hear of her work as inspiration for modern quilters! Looks like a great book. I'd love to get a copy of it. I'm in just for the inspiration and eye candy. Thanks. 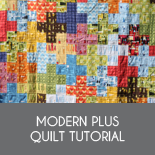 It sounds like a great book and a wonderful way to get started with modern quilts. Sounds like a great book, and I would love to win a copy of it! 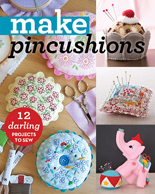 I love quilting books!! Thanks for the giveaway! I can't wait to see this book. Looks very interesting. Thanks for the chance to win! I love the Nordika!! Sounds like a great book! Thanks for the chance of winning! Oh that book looks fantastic! Awesome book - thanks for the chance! 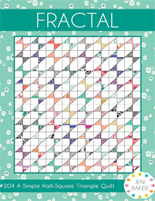 I certainly do not quilt as much as you, and if I did for income, it sure would take the fun out of it in a heartbeat, but you have inspired me to pick up knitting again and it has been a nice break! Wow that looks like a very inspirational book. Thanks for a chance to win. I learned to knit at age 5 and like it. 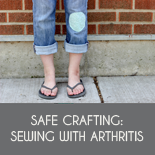 I started sewing/quilting at age 65 and LOVE it. Thanks for the chance to win a great looking book. Very cool...thanks for the chance to win!! How exciting! It looks like a truly exciting read! One that you are sure to go to over and over again for inspiration. Thank you for a chance to win. This book looks fantastic! Please enter me in the giveaway. Looks like a fun book! I'd love to win! 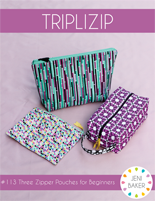 I could always use more tips and tricks in my sewing ~ looks like a lot of lovely quilts pictured too. 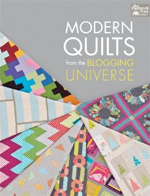 I was looking for a good read and inspiration for modern quilting. Thank you for the opportunity to win this book. This book looks very inspirational! I am really wanting this book!! I hope I win!! Thank you for the giveaway!!!! I'd love to win this book. It looks great. Thanks for the chance. 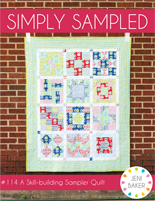 As a beginner quilter, what a great opportunity to win such a book. Thanks! 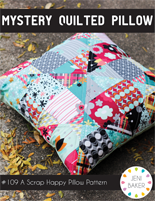 That Nancy Crow quilt makes me drool! I think this would be a very beneficial book for me to have. Fingers crossed! Perfect book for winter reading by a toasty fire! Thanks! 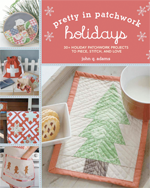 how fun it would be to win this book- I see *several* quilts I'd love to make! This book looks lovely! Thanks for the chance to win! Thank you for the giveaway. I was looking at that book over on Amazon and spied the Gee's Bend quilt…going to have to pull their book out and look at all their lovely quilts again. Looks like an interesting and inspiring book! What a great looking book! Thanks! What you have showed looks VERY interesting! 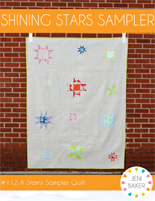 Great to know more about our Quilting Icons! The more I learn about quilting, the more I appreciate the modern style. I just have a hard time being that unstructured, which I think is needed to get the nice modern look. Maybe this book will help me with that! 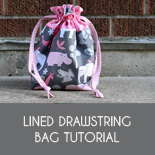 The more I read quilting blogs, the more I want to learn to make one! This book looks great! I already see one I would like to make. Thank you! thanks so much...always enjoy seeing what you are up to! It looks like a very interesting book. Would love to get my hands on it. Love the quilt with all the flying geese. Thanks for the chance to win. I see some things I like. I will put the book to good use. Looks like a book I'd like to add to my library. Thanks for the giveaway! Looks like a wonderful book to own. This book looks like it has a ton of inspiration for days when I can't figure out what to make. I think I will have to see if the library has it in yet. Lovely book! Thanks for the chance. Thank you for your review. Wow! The quilts were all lovely. this looks like a fantastic book. thanks for reviewing it for us. I would love to put more modern into my quilting, I tend to be more traditional. thanks for a chance. Love the idea behind the book. Something to refer to over and over.